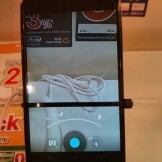 Over on XDA, a user posted some pictures this morning of a Nexus 4 that was seen at a mobile expo taking place in Thailand. 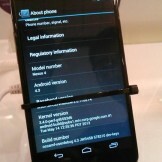 What makes this N4 special is that the device appears to be running a completely new build number, JWR45B. 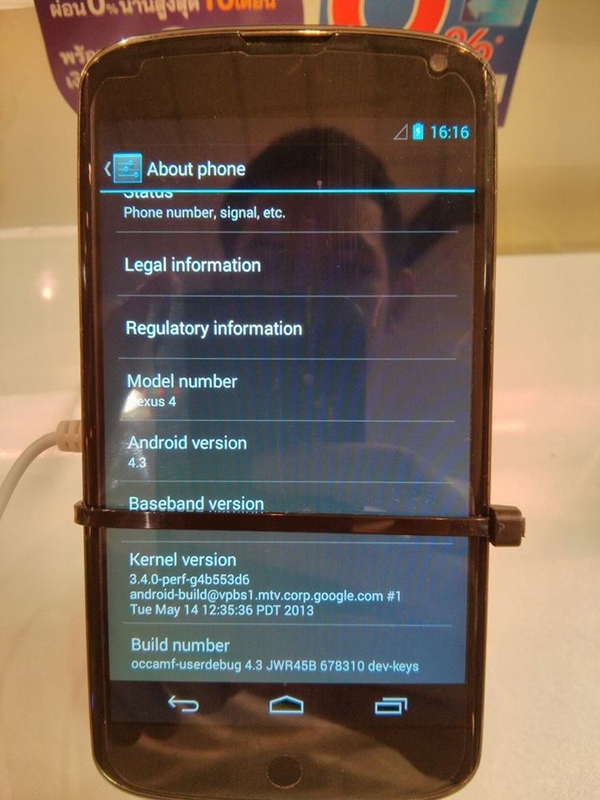 Coupled with the new build is a kernel that was built in May, signs that we could definitely be setting our eyes on Android 4.3. 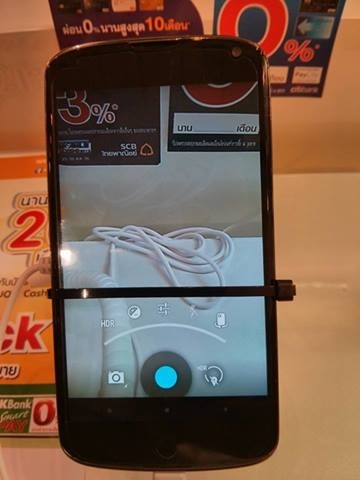 Only a few pictures were snapped, one of the About section, another of the camera’s semi-new interface (controls to the side rather than in the focus area), concluded by the Jelly Bean Easter Egg found through the About section. 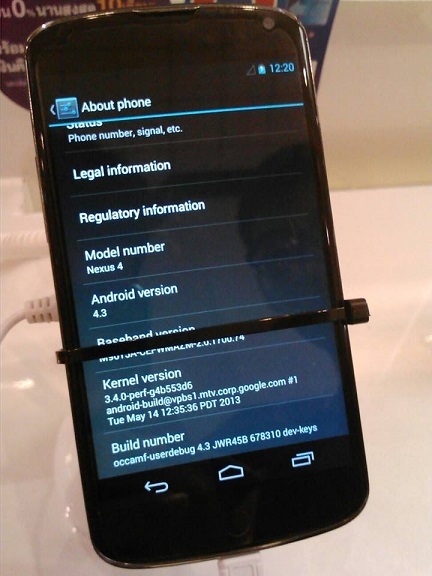 Not too much new here in terms of design, so it could be a pretty safe bet that Android 4.3 won’t feature a radical look or UI change. 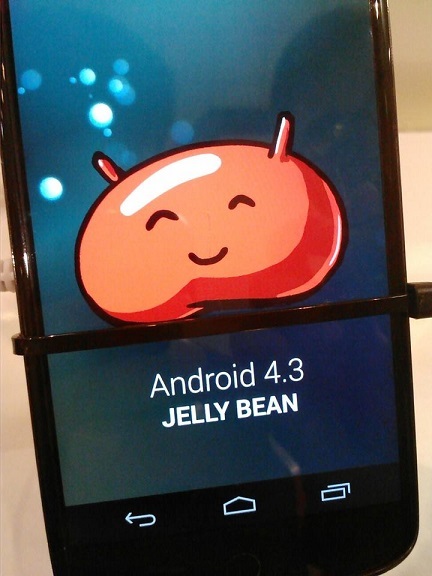 After some searches on the new build number, it becomes apparent that JWR45B is just one of few numbers that could potentially be Android 4.3. Others include JWR46 and JWR39D. 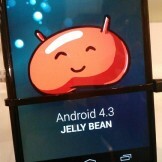 It should only be a matter time when Google feels it appropriate to drop Android 4.3 on us. The question of course, is when? Will it be June 10?